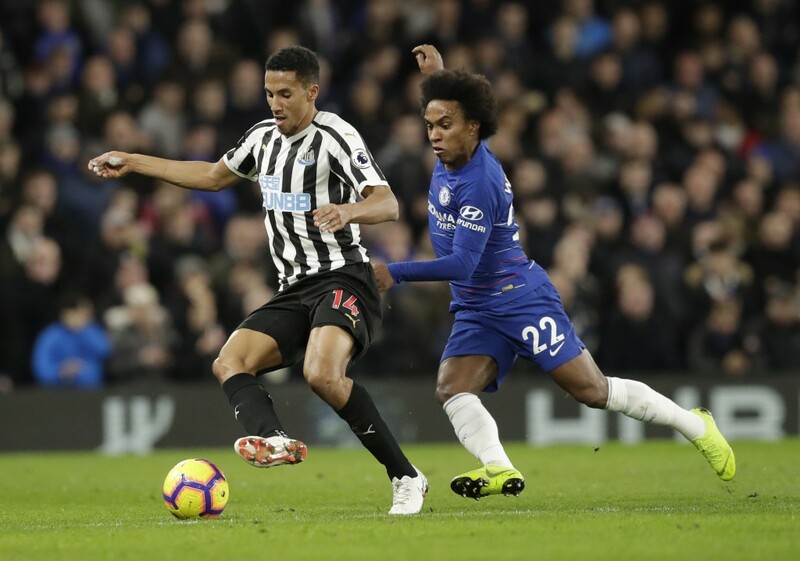 LONDON (AP) — Willian's curling strike gave Chelsea a 2-1 victory over Newcastle, sending the west London club six points clear in fourth place in the English Premier League on Saturday. 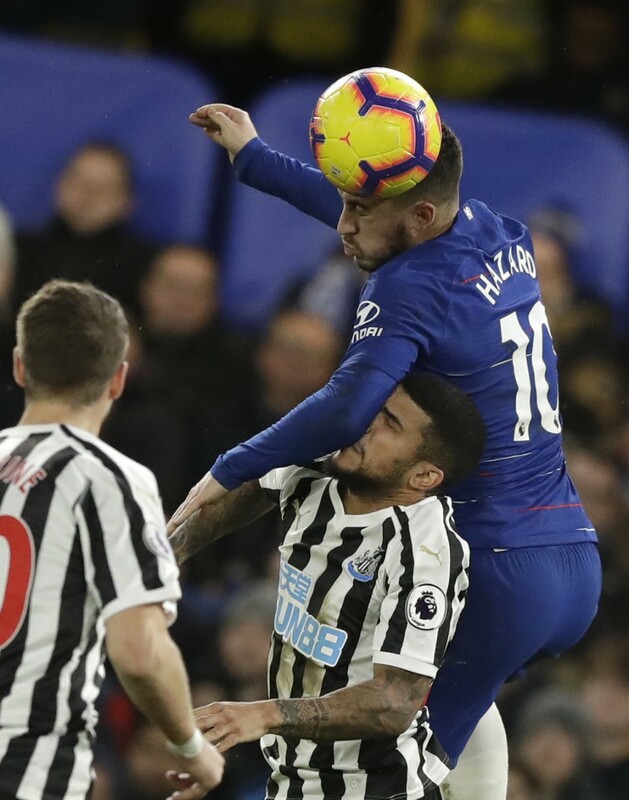 Chelsea took advantage of fifth-place Arsenal losing at West Ham to strengthen its hold on the final Champions League qualification place. 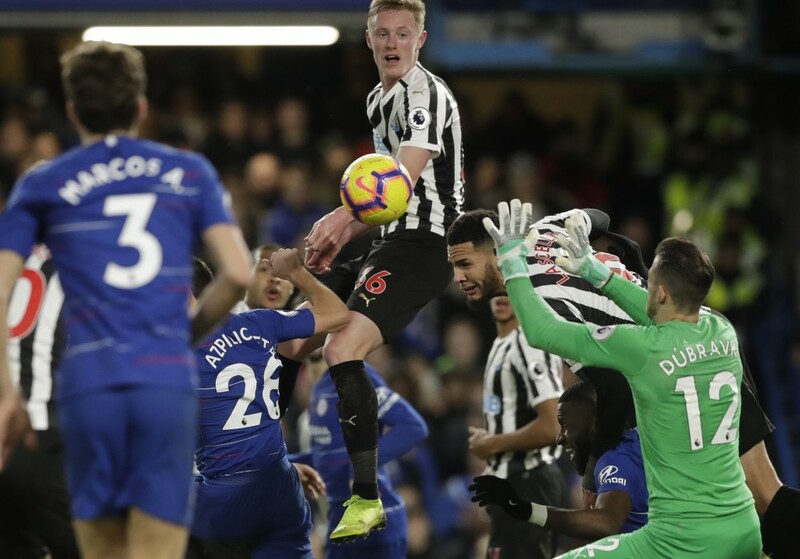 Ciaran Clark equalized in the 40th minute after leaping to reach Matt Ritchie's corner and heading past goalkeeper Kepa Arrizabalaga. 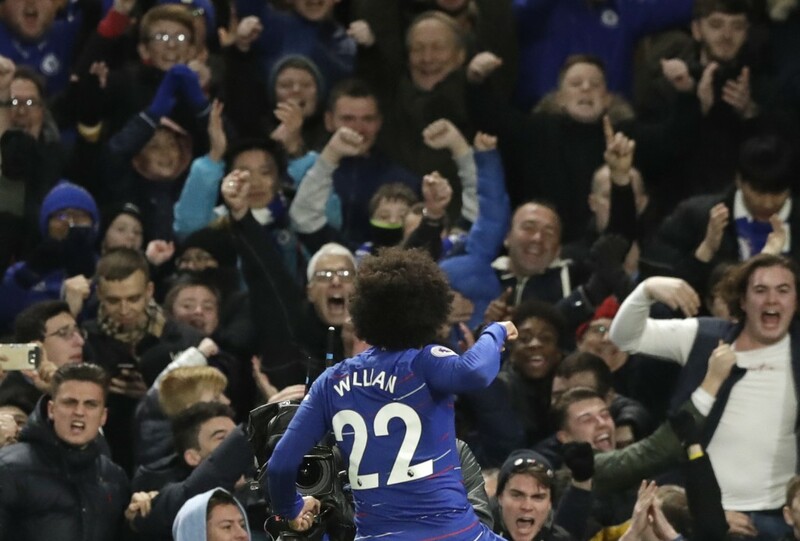 But Eden Hazard set up Willian for the winner in the 57th as Chelsea quickly recovered from losing the first leg of its League Cup semifinal to Tottenham. 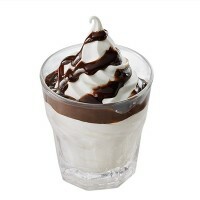 Newcastle fans chanted against owner Mike Ashley with the northeast English team a point from safety in the relegation zone.